On your wedding day all eyes will be on you and it’ll be your time to shine. You might’ve picked the most gorgeous lehenga with the most stunning jewellery, but if your makeup is not on point, the entire look can just fall apart! 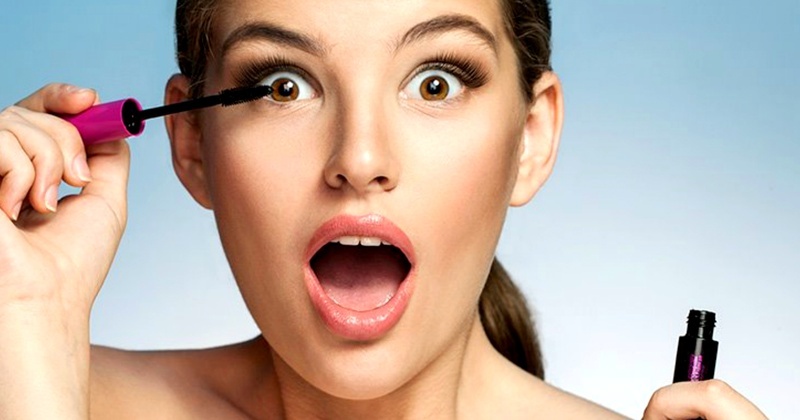 There are quite a few things that can go totally haphazard when it comes to your makeup if you are not well prepared! So, plan ahead and ensure your look is totally flawless! Your wedding day isn't the time to experiment with something new for the first time. Also, don’t get too overwhelmed and end up doing more than what you normally do, it ends up being too much! Thanks to Kim Kardashian, contouring (using bronzer and highlighter to bring out your cheekbones) is a huge trend right now. The unicorn eyes are also totally a hot trend. Although, we would advise you to not combine all the trends at once and that too without the supervision of a professional! It's an extra cost but we say it’s totally worth it. So, schedule your trial at least three months before your wedding. You should always bring reference photos to your makeup trial. Many brides don't do their research and then have to agree with whatever the makeup artist has to say. So make sure to pin or screenshot your favourite beauty looks and run it by your makeup artist. Concentrate on the apples of your cheeks, where you blush naturally. A lot of brides wrongly think that blush should be applied in a diagonal line under the cheekbones and up towards the temples, like from the '70s but that’s not how we do it now. Really think this one through. Dramatic smokey eyes are hot, a touch of blue or green is dashing, glittery smokey eyes are stunning but all of them combined are not! A popular trend now is to get eyelash extensions, which are individually bonded with your natural lashes (much like hair extensions). We would recommend you to get them at least two weeks before in case you have an allergic reaction to the adhesive and to ensure that they're comfortable for you. Your brows frame your eyes and can truly change the entire look of your face. Aside from having them professionally done a week before the wedding, you're going to want to define them with brow pencil. Many foundations these days include sun protection in it. This is wonderful for your everyday look, but for your wedding day; we say stick to the traditional formula. The reason being, such foundations can make your face look white and cakey in flash photography. Airbrush foundation can be ‘the bride's BFF’ — if you're someone who doesn't need a lot of coverage. If you are someone who needs more coverage, you might want to stick with the regular high-coverage foundation. Many brides believe that they need a foundation with heavy coverage, in order to look good in photographs. Although the reality is totally opposite. To be able to see the skin glowing underneath, a sheer foundation, that matches your skin creates an amazing canvas for the rest of the makeup to go on! Powder is great for mattifying your look, but when used a lot, it can sink into those tiny wrinkles and magnify them. Makeup never ends at your jawline. It’s very important to even out your complexion on your décolletage and back as well, since these areas are on display in a wedding gown. Not just a waterproof mascara, you should opt for a waterproof foundation too. As a bride, you are bound to shed a few tears, so there can be nothing worse than having streaks of black mascara running down your face or white streaks of your foundation coming off! Ok girlies, that’s it from our side! Just make sure that you do not make these little makeup mistakes and you are all set to rock your wedding look!